It’s that time of year: the lights are glowing, the parties are in full swing and the shoppers are hard at work picking out the season’s most treasured gifts. And if you own a business, you’re likely already feeling the upswing in activity. Your website is more than likely to receive a big surge in traffic this month. With ecommerce on the rise and brick-and-mortar customers doing more and more research online, it’s time to up your holiday strategy. Here’s how to keep your website holiday ready. If your web copy isn’t doing your products justice, you could be losing a slice of that huge holiday shopping pie. Take a look at your current product descriptions and determine where you could add detail or clarity. A great idea is to feature product videos so your customers can get a better idea of what you’re selling. Did you know that one in every four holiday ecommerce transaction is completed via a mobile device? If your site isn’t optimized for mobile, you’re missing out on a whole lot of transactions. Make sure every page of your site looks phenomenal on a mobile device before the season is in full swing. If your site features ecommerce capabilities, make sure you’re not losing customers during the checkout process by making it difficult or confusing. Ensure that all links in the process are functioning and that the customer has a clear pathway to order. With so much competition in the marketplace, you can’t afford to lose customers who grow impatient with your site. Whether accessing your site via a computer or mobile device, that 10-second load time may be enough to send your potential customers off to another business. Shave off the load time and keep your customers interested. Social media is huge in the world of ecommerce. Make each product you feature on your site easily sharable via social media. Include links for Facebook, Instagram and Twitter on each product so customers can share them with the click of a mouse. And of course, share them yourself! 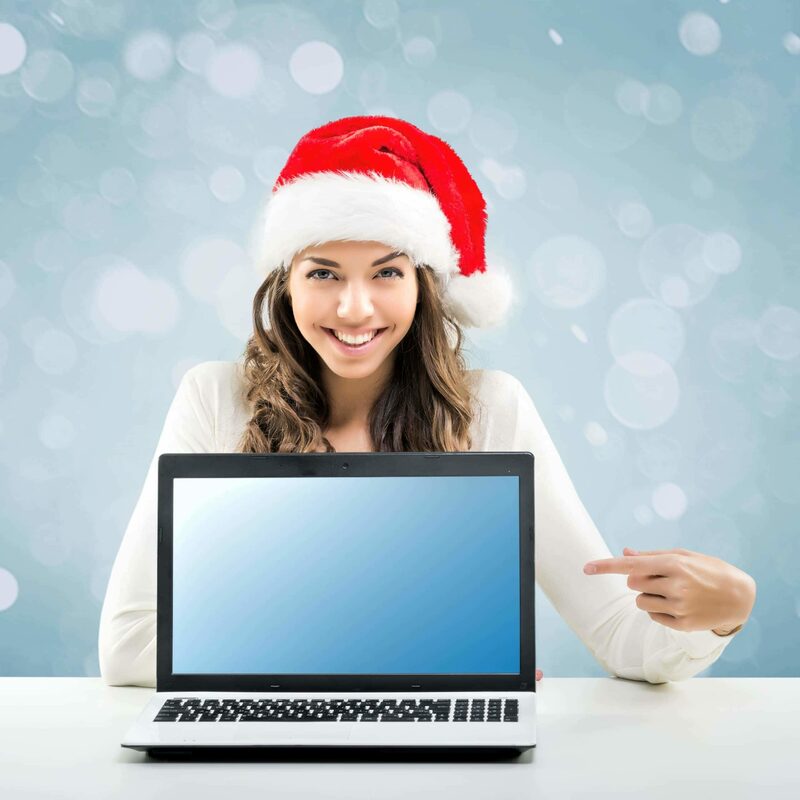 Santa’s busy readying his sleigh… are you busy readying your website? If not, we can help! Give us a call today.